An updated version of Blingtron-4000-Geschenkpaket with 1000 more awesomeness! I can confirm that the Winzige wandelnde Bombe drops from this even though it isn't in the loot-tables! Screenshot here. Just had Rakete mit abgereichertem Kyparium drop from one of these. Add it to the Contains list please! Has anyone actually received Rakete mit abgereichertem Kyparium or Geosynchroner Weltendreher from the Blingtron-5000-Geschenkpaket? 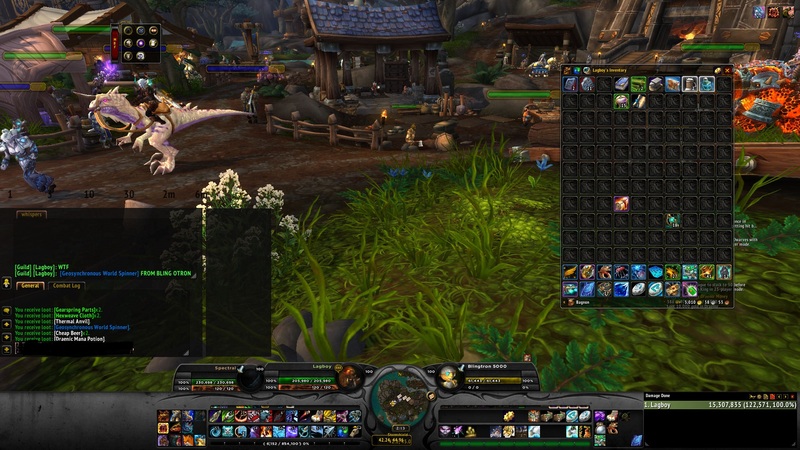 I know for a fact my friend received one of them from the Blingtron-4000-Geschenkpaket, but haven't seen any confirmation you can from 5000. I already have all the pets and the Inspektor Gadgetzan from Blingtron 5000. Was wondering if it is better to swap back to Blingtron 4000 for the mounts? 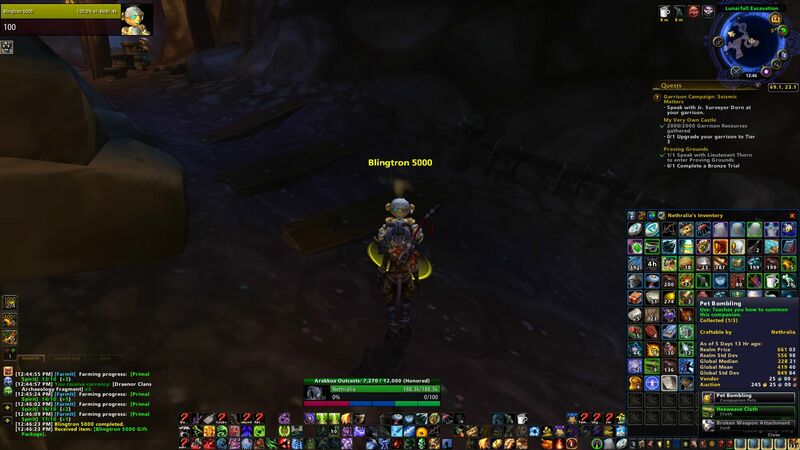 Confirmed Blingtron-5000-Geschenkpaket drops Chopper des Robogenieurs. Someone dropped a Blingatron 5000 at Lion's Watch yesterday, I opened the packaged and Chopper des Robogenieurs was in it. Nearly died of a Heart Attack. Can confirm Rakete mit abgereichertem Kyparium Still drops from this. Still drops Geosynchroner Weltendreher as of patch 7.0. Just got an Kugel der Geheimnisse from one of these.